Your ideas. Our millwork expertise. Clutter, disorganization and frustration – most people can relate when it comes to keeping your home in order. 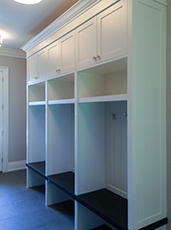 We recognize the value and importance of functional and customized cabinetry to keep your life organized while fitting into your living space seamlessly and beautifully. Whether you are a DVD or vinyl collector, sports memorabilia aficionado or you have a special focal point in your home you want to feature, our design team can help bring your storage and cabinetry ideas to life. 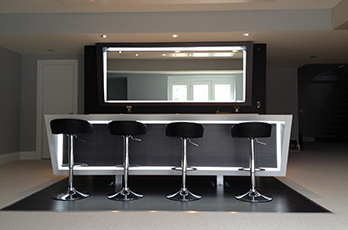 We invite you to talk to us about wall units, storage cabinets, home theatres, wine rooms and bar areas, butlers serveries, entertainment centres, workstations and any other custom storage idea you have in mind. We also work directly with homeowners, architects, home builders, interior designers and decorators if you require us as part your new build or remodeling project.